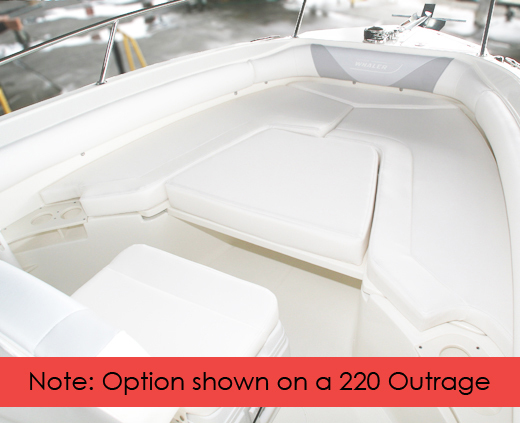 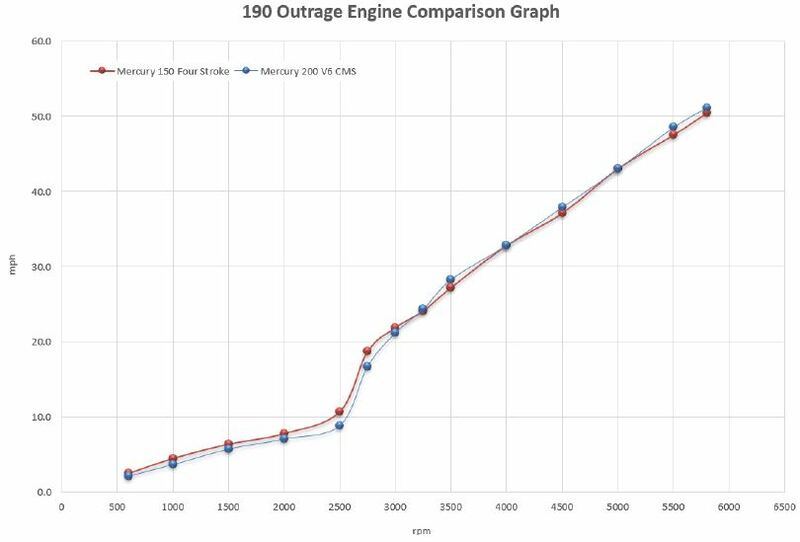 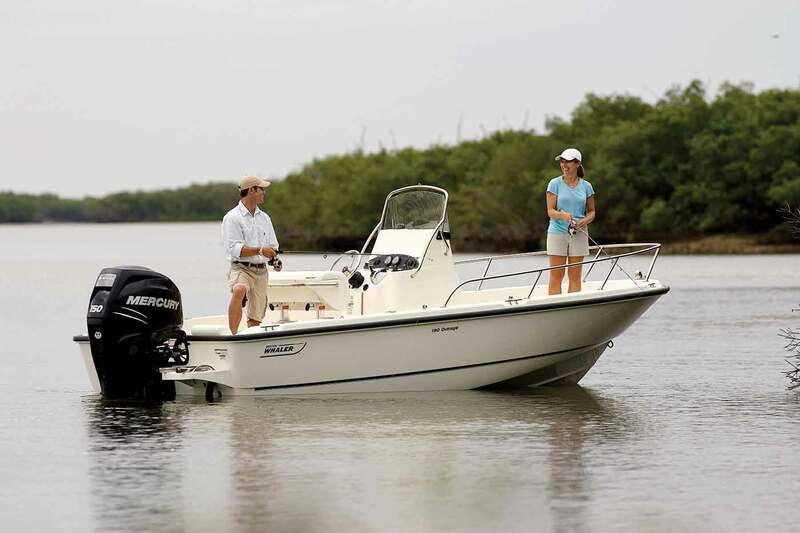 The 190 Outrage® packs all the confidence and capability of a much larger boat, perfectly suited for offshore trolling and backwater fishing alike. 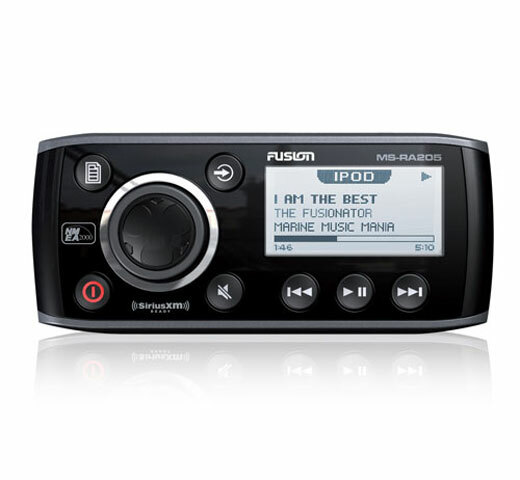 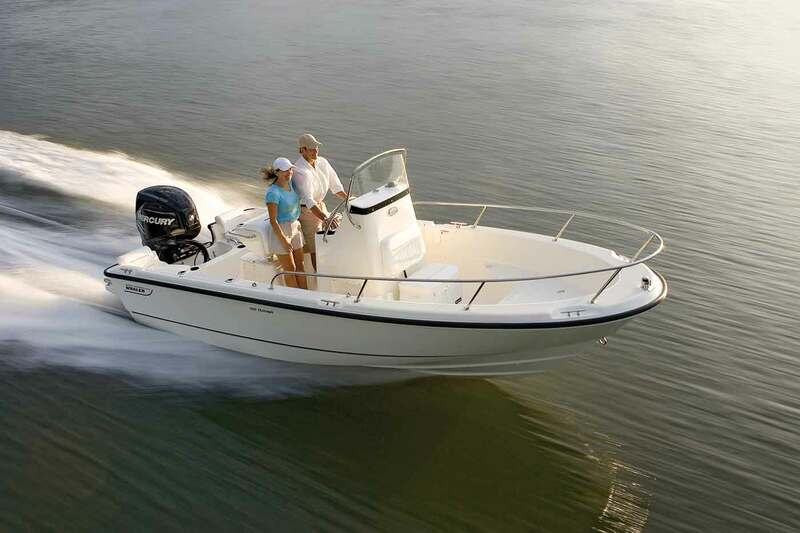 The 190 was built with comfort in mind, as well, and is equally great for pleasure cruises. 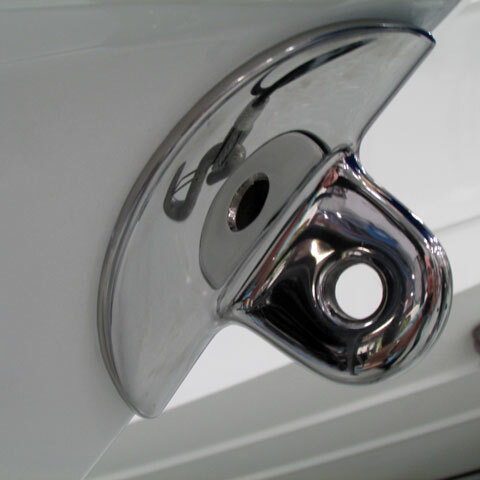 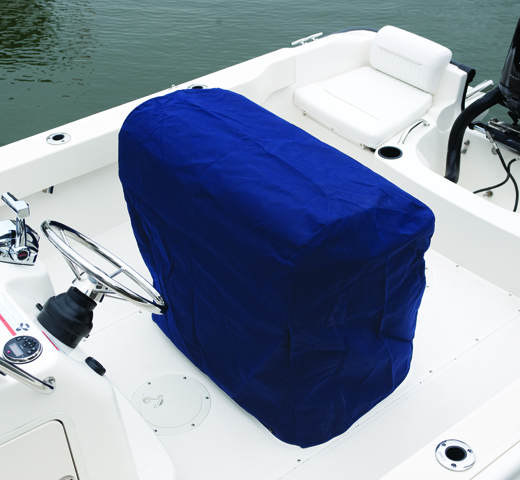 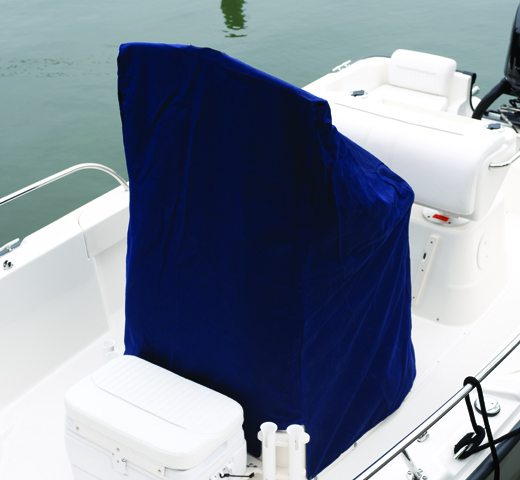 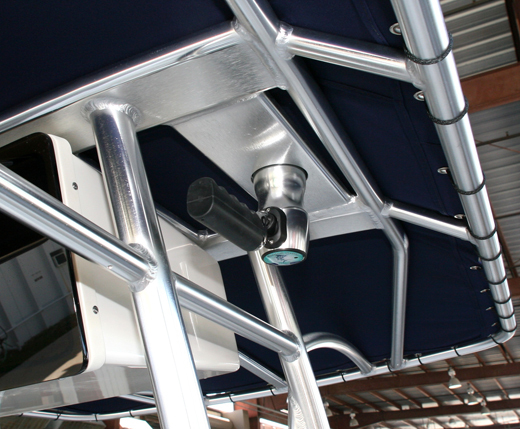 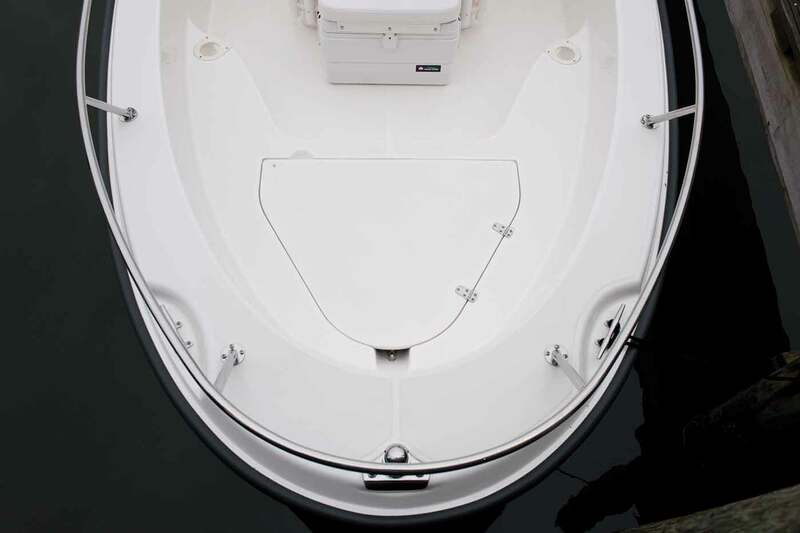 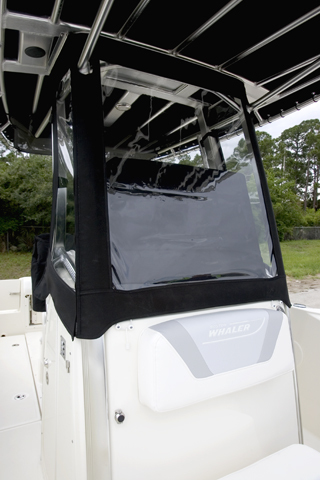 Thanks to Whaler’s unbeatable ride quality, every passenger stays safe and dry. 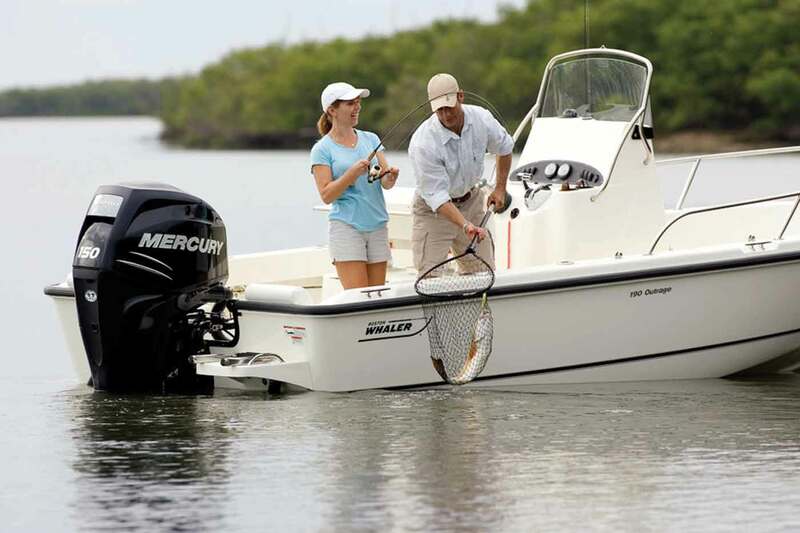 That’s confidence to the core you can’t get anywhere else. 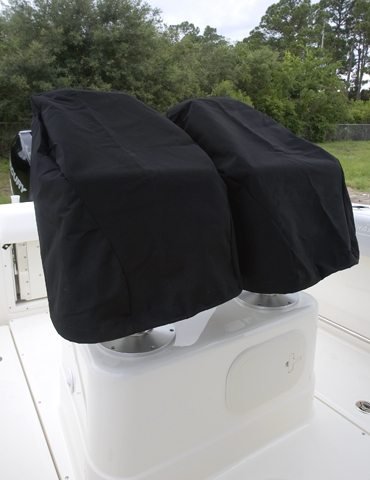 Central leaning post includes holders for 2 rods. 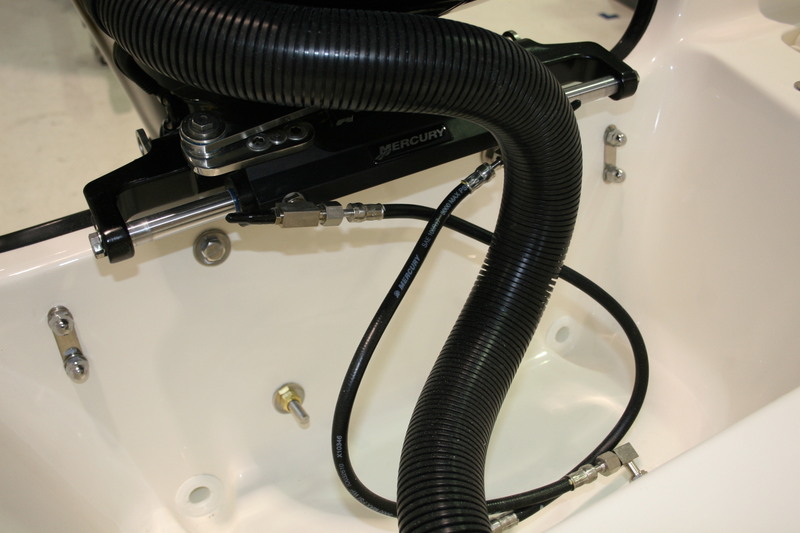 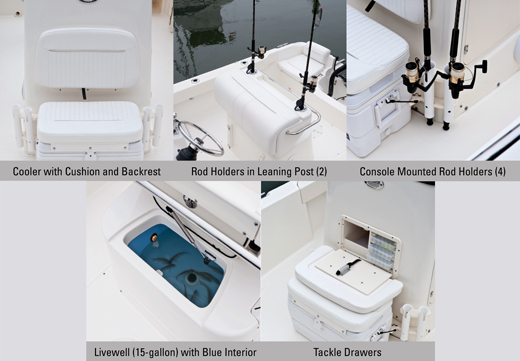 Optional tool storage and 15-gallon livewell under the leaning post add convenience. 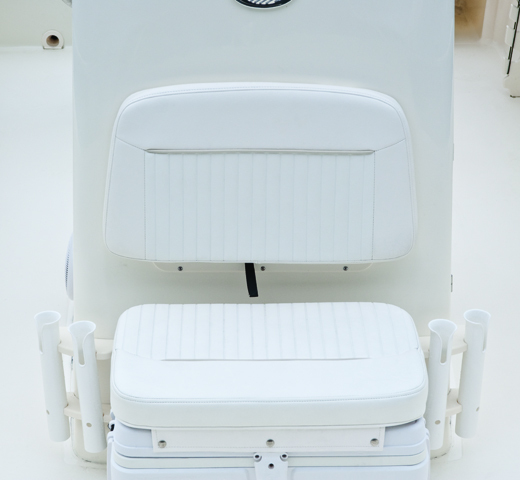 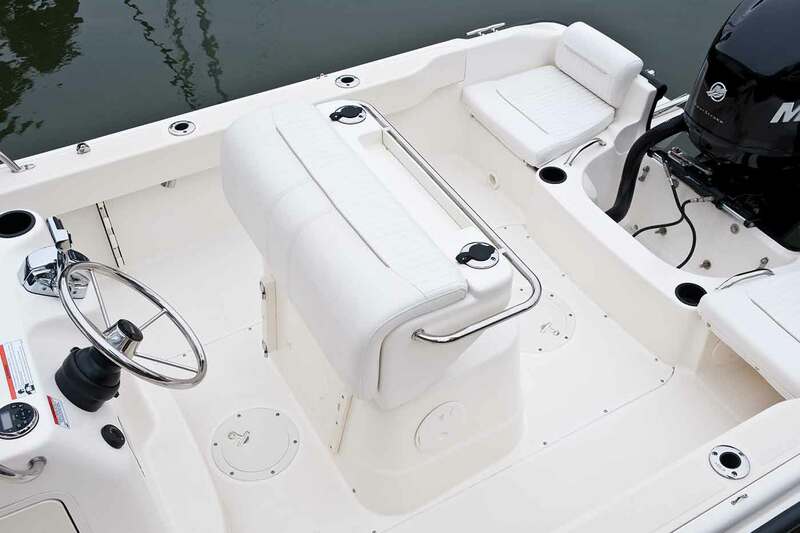 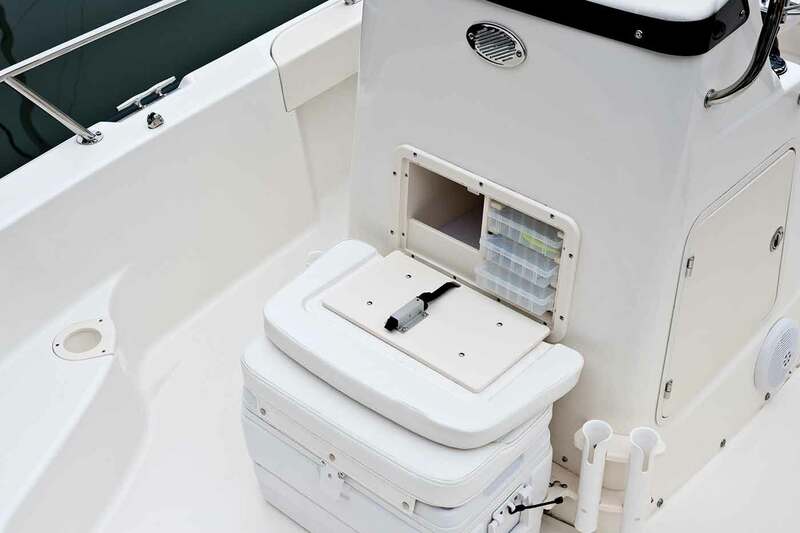 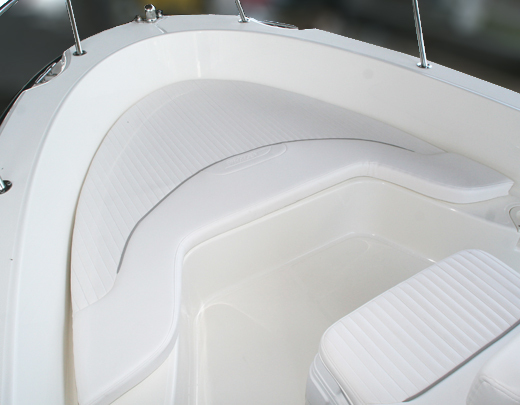 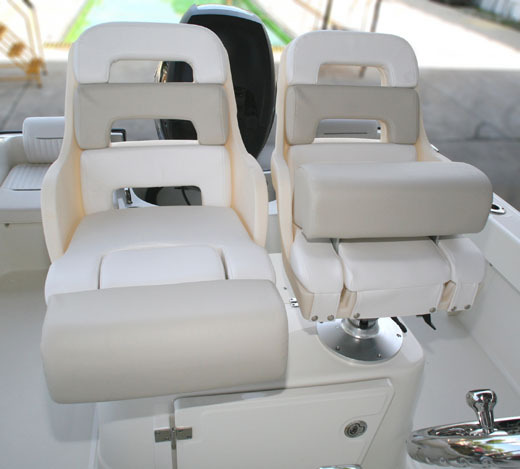 Aft jump seats make it easy to bring your angling friends. 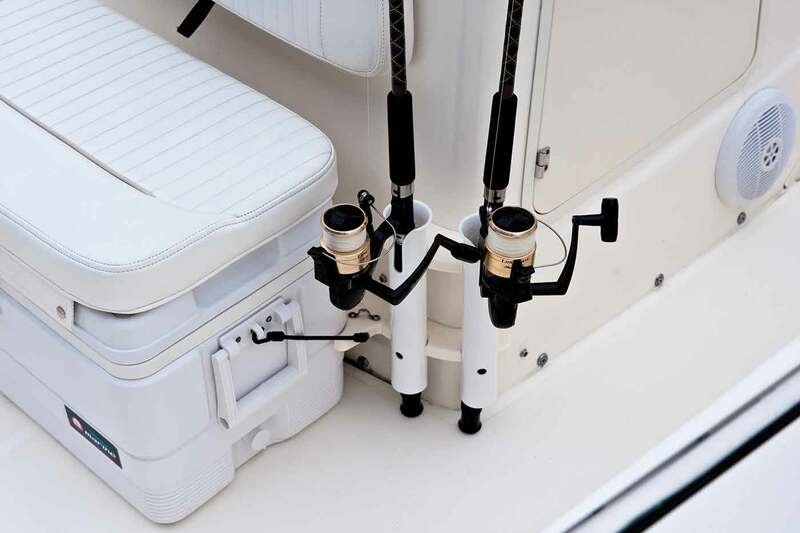 Gunnel-mounted rod holders (4) keep your arsenal close at hand. 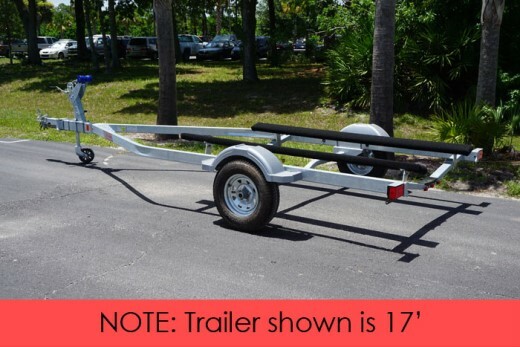 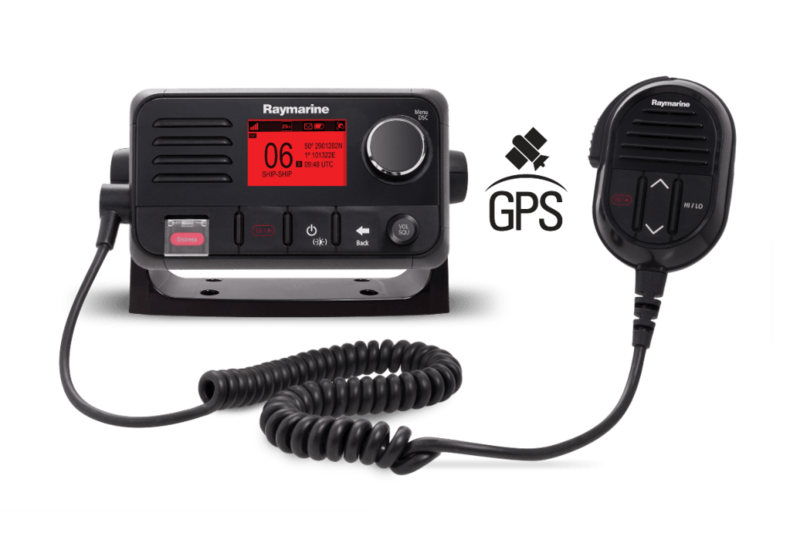 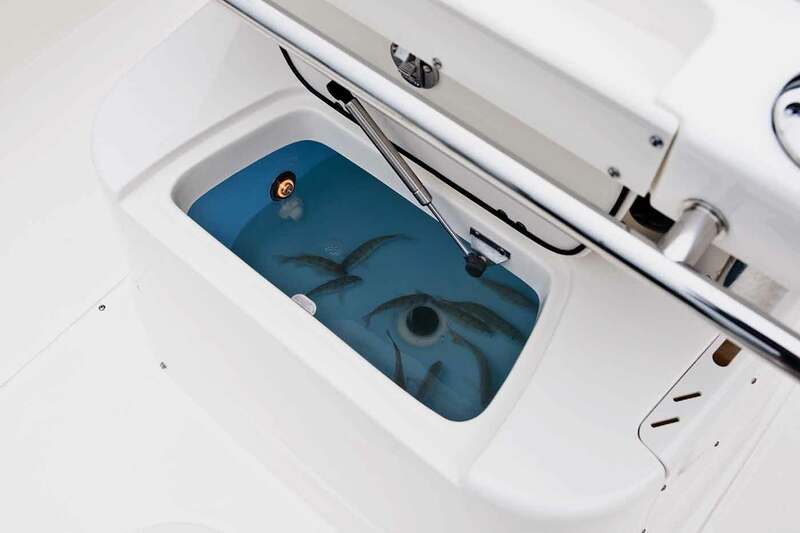 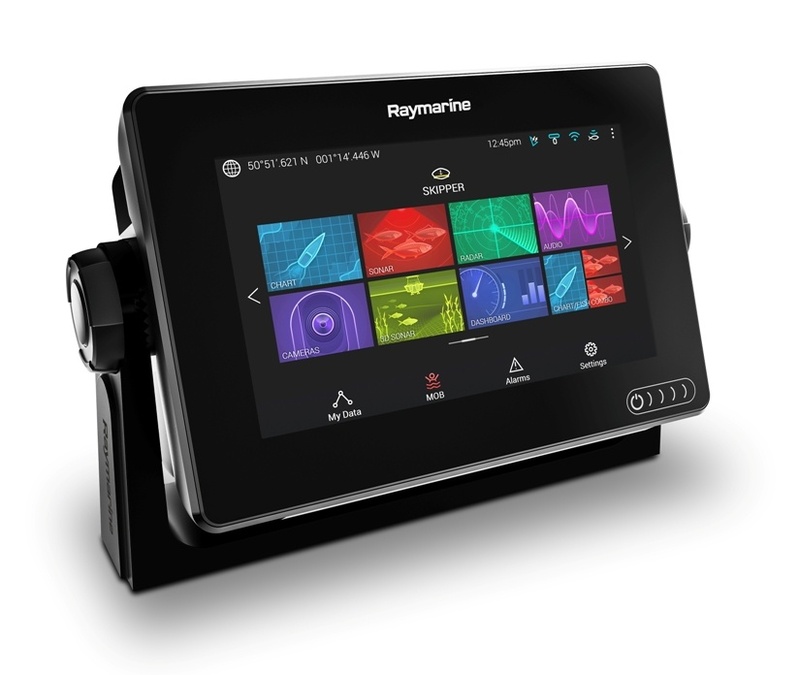 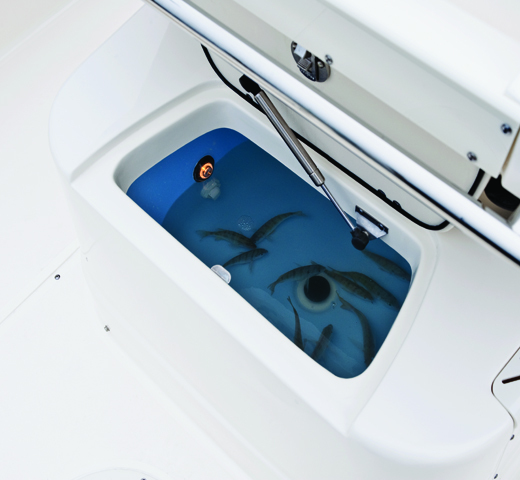 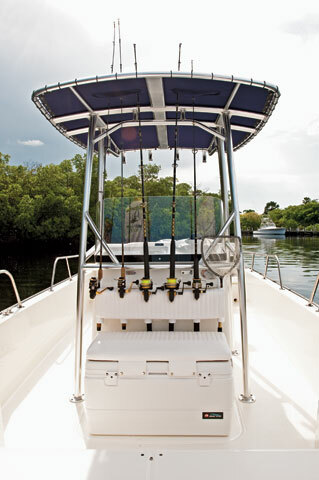 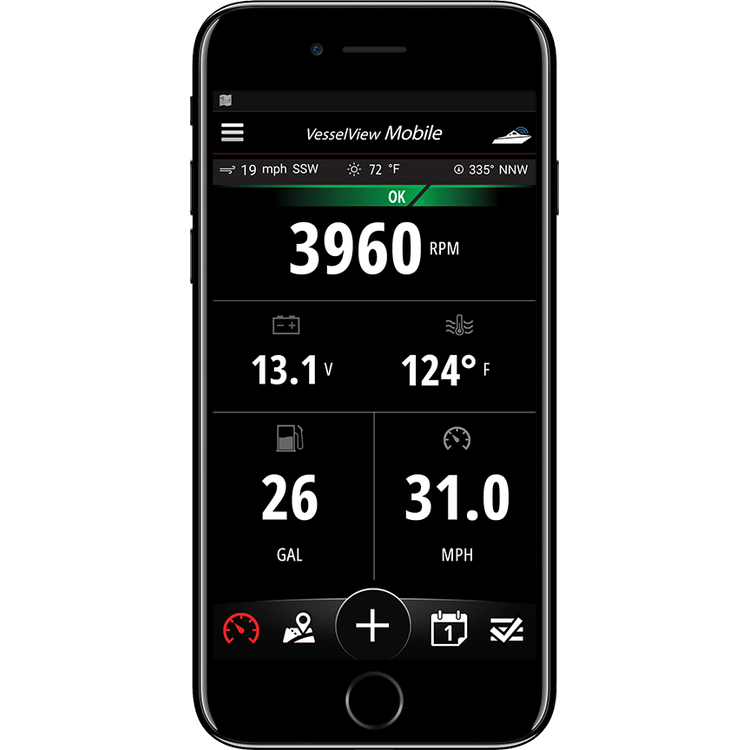 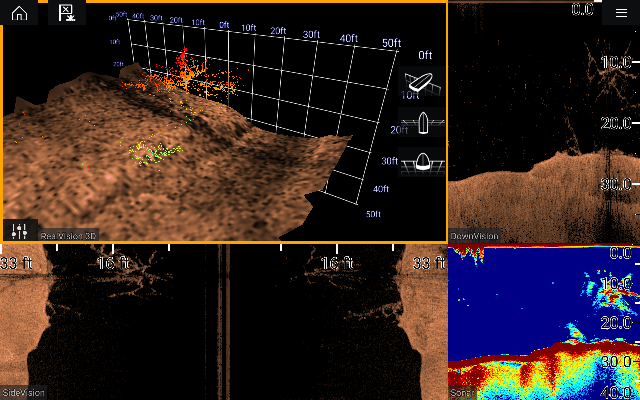 Tackles serious saltwater fishing with the confidence and capability of a much larger boat. 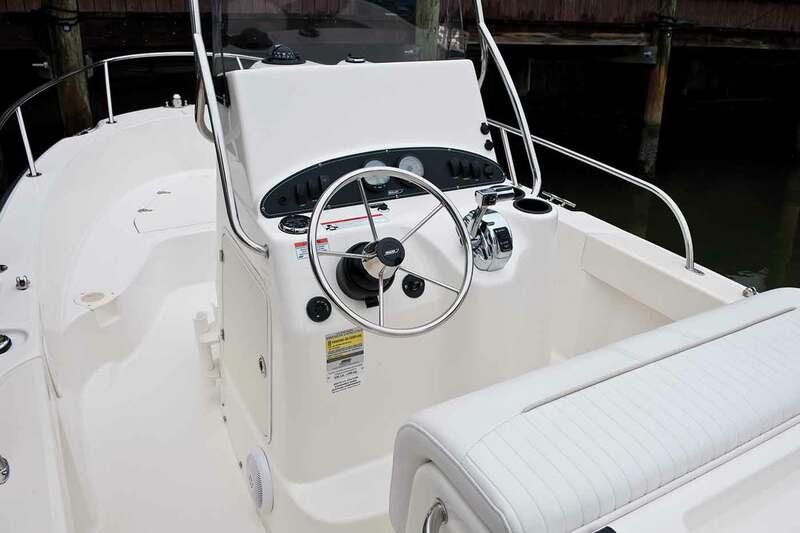 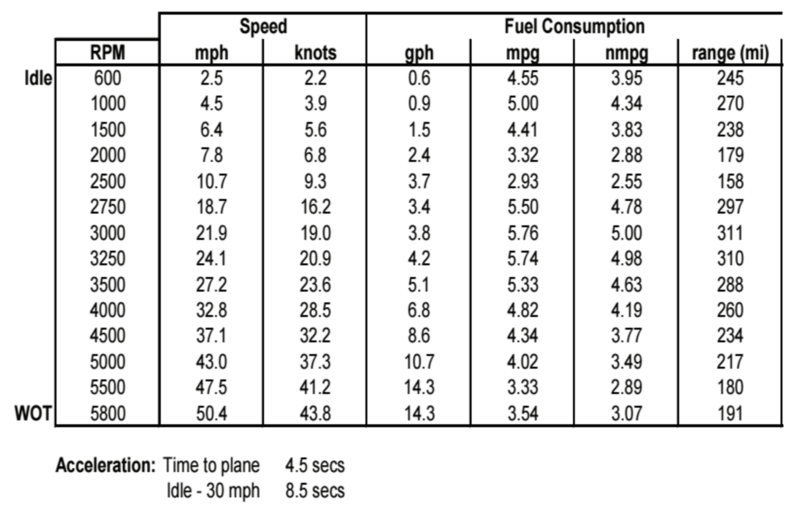 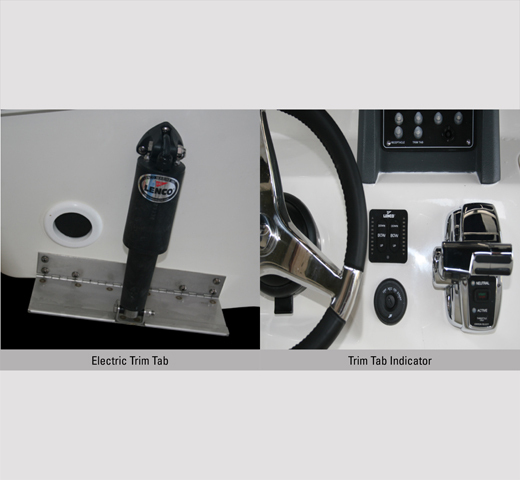 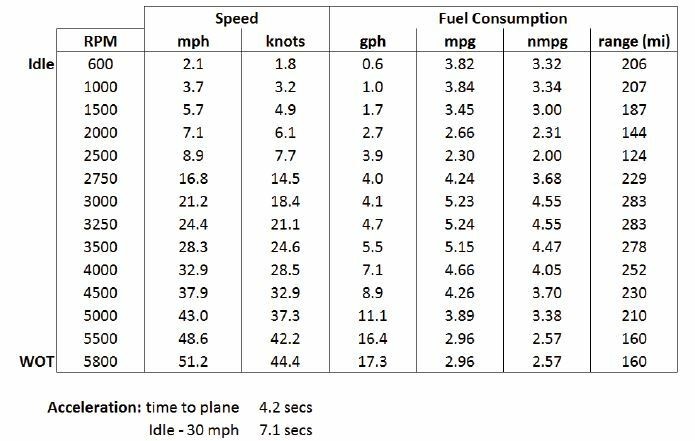 Height (keel to highest point):7' 4"
Height (lowest tip underwater gear, in down position, to top of windshield/hardtop):8' 2"